In the early days of the Derby Dolls the officials’ crew was made up of skaters on injured reserve and a few derby widows willing to dedicate their time and hard work to the league. 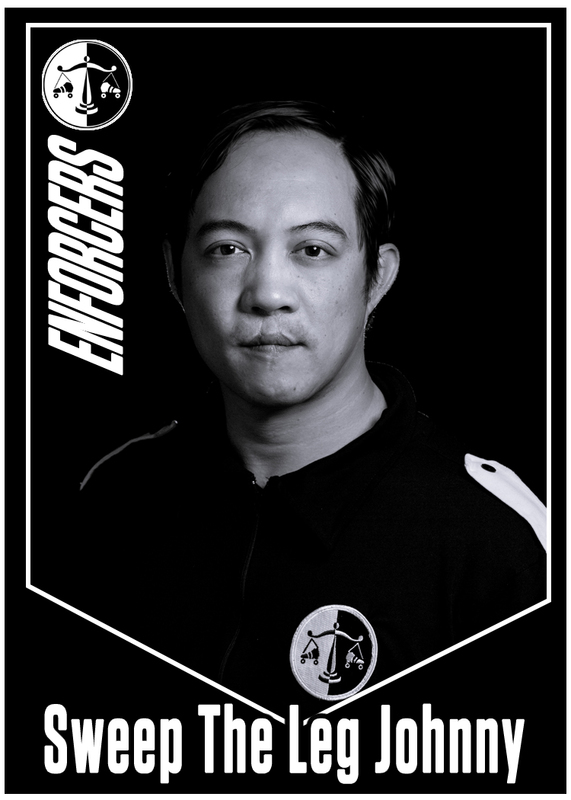 In 2007, the Enforcers were officially born when they welcomed their first class of "recruited" officials, and the training of new officials soon followed. 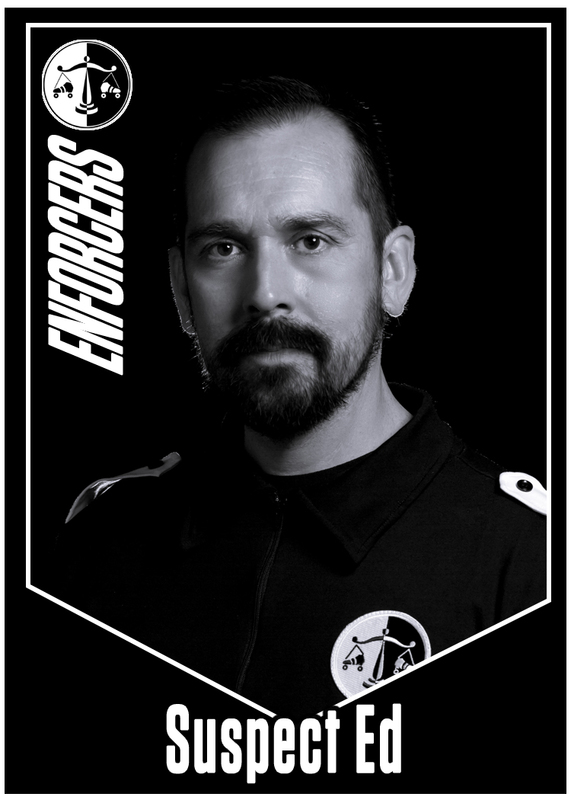 In 2008, the Enforcers brought the concept of Referee Professionalism to banked track roller derby through internal leadership and attendance requirements. The team also worked together to re-brand under a new Enforcer logo: skates on a balanced scale - or, as it’s more commonly known, the Skates of Justice. 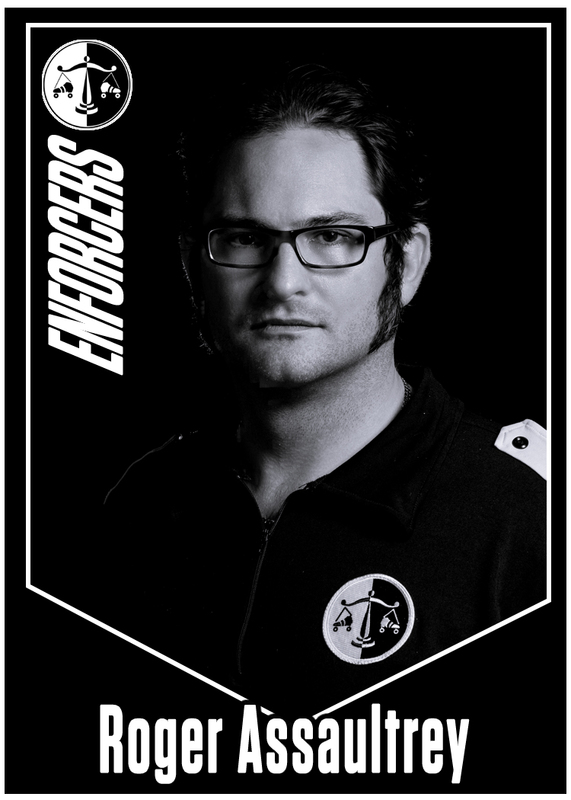 Then in 2009, the Enforcers unveiled their signature uniform: black uniform tops with white epaulets and black bottoms with a white tuxedo stripe down the side. 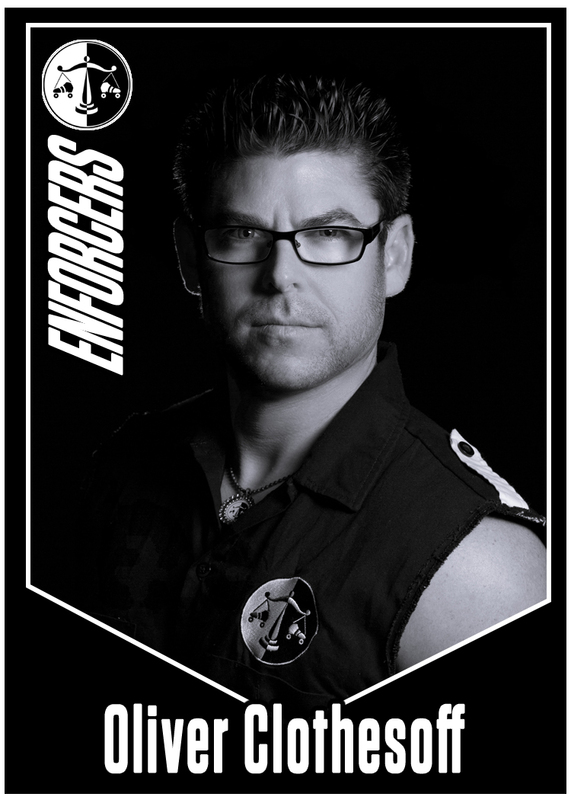 In the years since, the Enforcers have continued to grow and thrive. They created an annual officials’ training camp in March called Ref RADness to train local and remote officials. They also worked with the league and created FUNdraising efforts (first selling exotic jerky snacks, now selling delicious cupcakes at a vendor booth during bouts) which promoted New Ref Orientation and also provided travel stipends used for travel when training other banked track officials, traveling to officiate remote games and tournaments (both foreign and domestic). 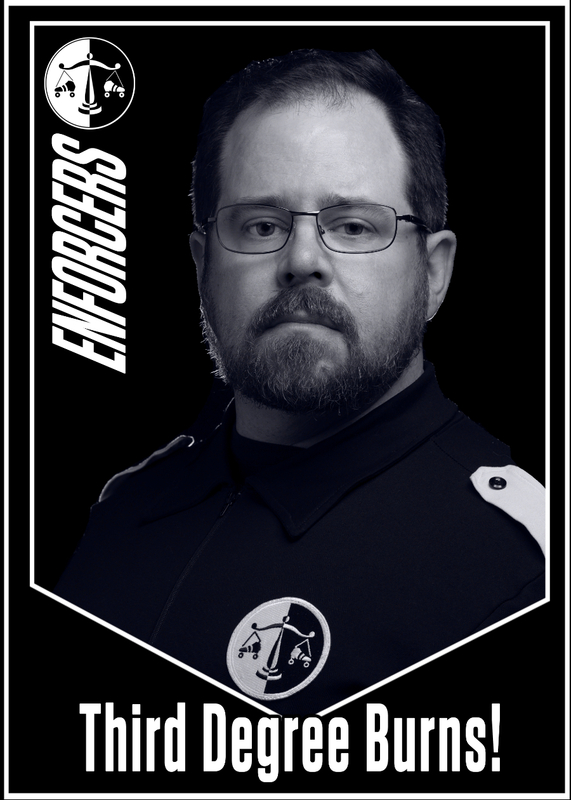 The Enforcers continue to thrive as the team and are always looking for new recruits. If you're interested in helping to inspire and create the next chapter in our rich and storied history, email Refs@DerbyDolls.com for more information. 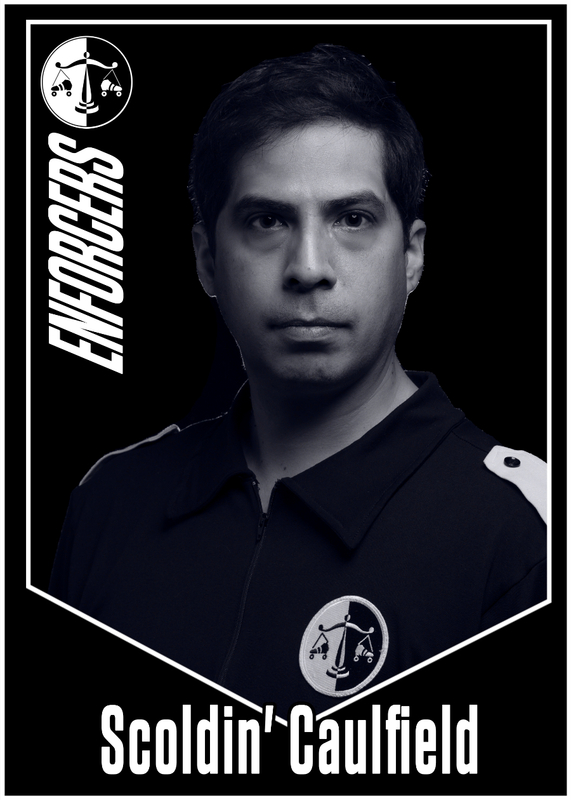 The Enforcers began adopting "REFS! YEAH RIGHT!" as their cheer, in homage to the Gramercy Refs from the film The Warriors. 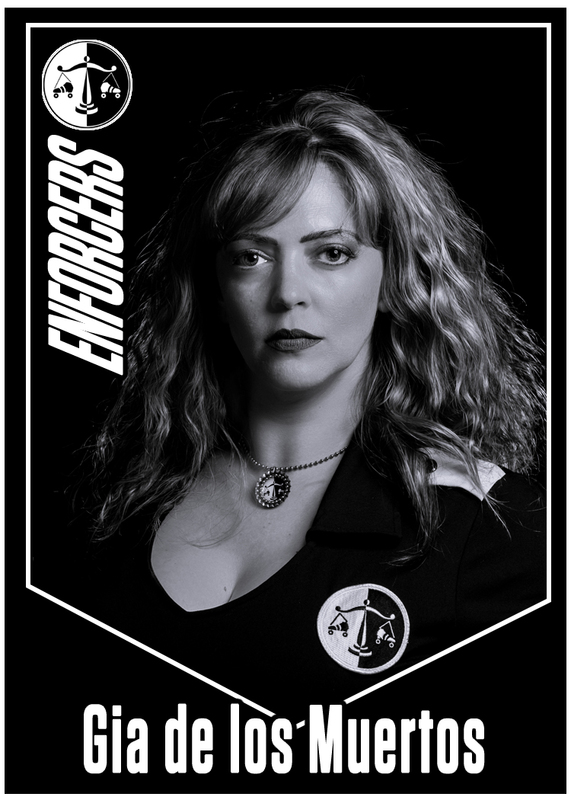 The Enforcers hosted the first co-ed scrimmages with the Derby Dolls, and helped to found and form our wRECk League program that’s still active today. The former home for the Derby Dolls (2014-2018), The Dollosseum, was named by an Enforcer. For the first few years, the Enforcers referred to their trainees as Cheladas. They are now called ETs (Enforcers in Training). Many of the leagues General Managers through the years have been Enforcers. The Enforcers headed up the officials crew for the first banked track national championship tournament, Battle on the Bank. 8 out of the 11 Battle on the Bank competitions have had Enforcers as Tournament Head Refs. Every Ri-ettes Battle on the Bank Championship has had an Enforcer as a coach.